We met with Huawei's President IT Product Line, Yelai Zheng, to discuss the company's Cloud OS vision, a product that was launched last year. He started by suggesting that IT and telecom are on a convergence path because they use similar hardware with software, applications and services now moving to the cloud entirely. This process of "cloudification" convinced Huawei to explore the opportunity of working with telcos to add value to their businesses. 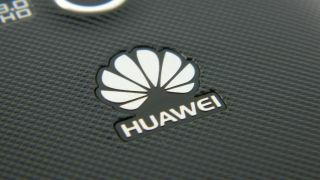 The solution is targeted at that market as it is the one where Huawei has the most experience. The company used its experience to tweak its proposal with a particular focus on latency and QoS (quality of service). The OS itself consists of three virtualization components (computing, storage and network) plus a set of APIs. It's pitched to telecommunication companies like China Unicom both as a formidable "OpEx"/"CapEx" saver and a potential revenue generator. Yelai also highlighted the fact that this is a completely open system that is compatible with Openstack and is hardware agnostic, although he acknowledged that the service would work best when paired with other Huawei products.